Why get some new, run-of-the-mill plants when you could get some new plants with super cool shapes? Plants with super cool shapes are fun, interesting, and a conversation piece for any home or garden. Today I’m here to show you a few of the most interesting plants out there. I guarantee you’re going to want to rush off to your local plant shop for one of these babies! 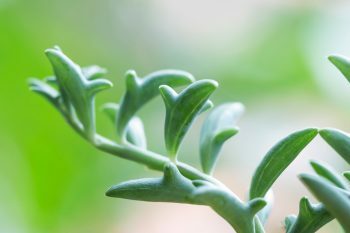 Speaking of plants with super cool shapes–look at the leaves of the Senecio peregrinus, and you could swear you’re looking at a pod of dolphins! 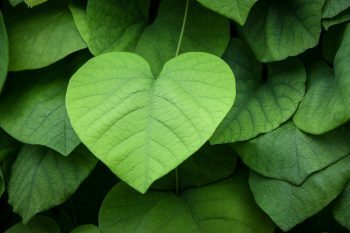 The leaves of this plant are just so adorable no one will be able to look at it and not ask you about it. This plant is a hybrid flowering succulent, produced by crossing Senecio articulates, or candle plant, and Senecio rowleyanus. You might look at those dark little nuggets and think they are just rocks or something. But you’d be wrong! Those are actual plants with super cool shapes. 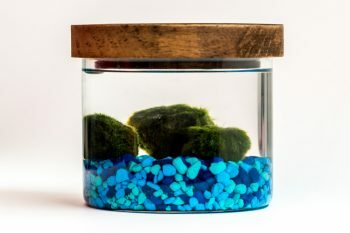 They are called Marimo moss balls, and are algae grown in a round ball. 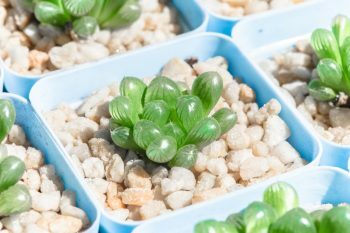 They must live in water, so they’re perfect for a little water garden or fish tank. Just plan on keeping them in lower light conditions, and change out their water every two weeks to keep them healthy and happy. This plant is another succulent. But if you know succulents, you aren’t surprised that plenty of plants with super cool shapes are succulents! This is one of the Crassula varieties. Most of them are native to eastern and southern Africa. 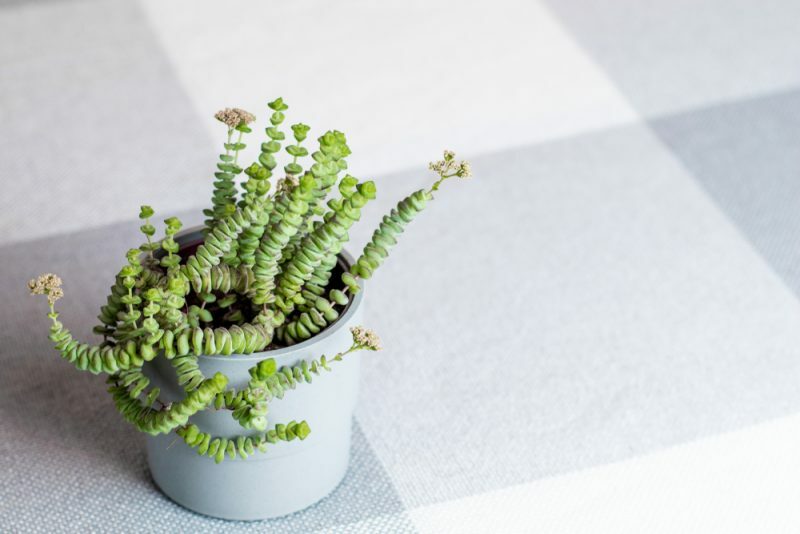 All the Crassula varieties are super cool! 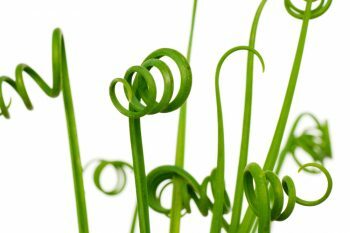 Corkscrew grass looks as though you curled it with your curling wand–but it’s completely natural. This is a bulbous plant that grows so easily you’ll want to contain it in a pot, or it will take over. Who ever thought gardening was boring? 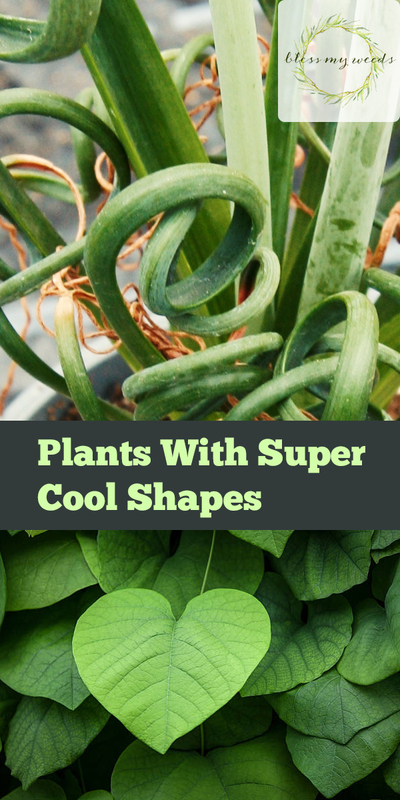 No one who has ever seen any of these plants with super cool shapes!